31.4T digits - Google sets a new world record for calculating the most accurate value of Pi; researchers used Google Compute Engine to calculate 31.4T digits, which is 9T more than the previous record. $1B - Uber is raising from SoftBank and others for its driverless car unit; would value the division at $5B to $10B. $39k - Tesla unveils Model Y; the compact SUV will launch in 2020 with a starting price of $47k; promises 300 miles on a single charge; the company plans to launch a $39k version with a 230-mile range in 2021. Apple is in late-stage talks to add HBO, Showtime, and Starz to its upcoming premium TV service; the service will launch with mostly partner content; Apple is expected to announce the product at a March 25 event. Apple launches Music app for Amazon’s Fire TV in the US; supports Alexa control via the Apple Music skill; Apple previously announced Music would come to Samsung smart TVs. Apple acquires machine learning-powered search company Laserlike; Apple has confirmed the deal, which The Information says closed last year; the tech could enable Siri to provide better personalized search results. Apple announces this year’s Worldwide Developers Conference for June 3–7; expected to unveil updates to all operating systems, and to enable third-party developers to bring mobile apps to macOS. Spotify files an antitrust complaint against Apple in the EU; Spotify CEO Daniel Ek claims Apple’s App Store rules “purposely limit choice and stifle innovation,” and that the firm “acts as both a player and referee”; Spotify says Apple’s App Store commission is unfair. Apple says Spotify wants all the benefits of its App Store without contributing to it, and that Spotify is “making ever-smaller contributions to the artists, musicians and songwriters”. Google rolls out Chrome 73 which includes Dark Mode for macOS; uses a similar color scheme to Incognito mode; also adds Auto Picture-in-Picture for Progressive Web Apps. Google makes the first Android Q developer beta available for all Pixel devices; adds support for foldable phones, better privacy controls, more; users can set location apps to only access location data when in use; the new Settings Panel API enables apps to launch pop-up windows for certain OS settings. 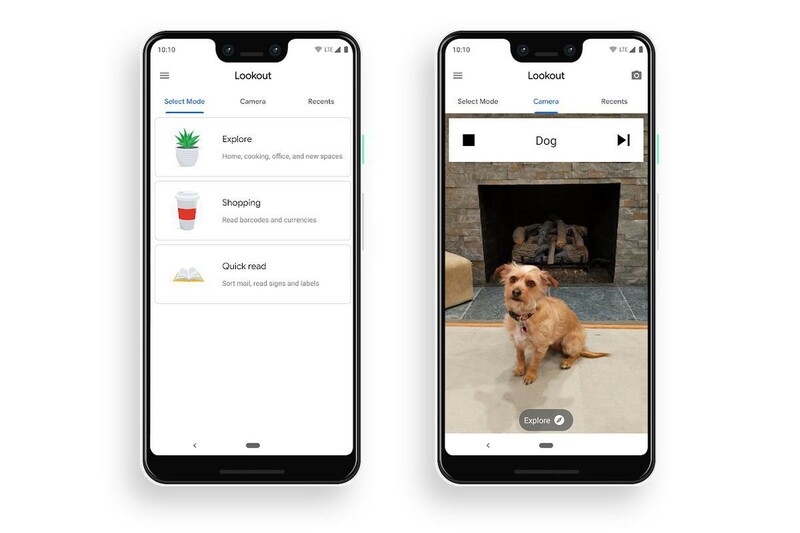 Google launches Lookout, an Android app aimed at the visually impaired; uses computer vision tools to identify objects and text, speaking aloud what it sees; currently available for Pixel users in the US only. Gboard for iOS adds Google Translate functionality; lets users type in one language and have it auto-translate to their language of choice. Alphabet’s Jigsaw launches Tune, an experimental Chrome extension that promises to filter out toxic comments across YouTube, Twitter, Facebook, Reddit, and Disqus; makes use of the company’s AI-powered Perspective tool, allowing users to adjust the “toxicity” range. Facebook CPO Chris Cox is leaving the firm; Mark Zuckerberg notes Cox has been looking to do something else for a few years; WhatsApp VP Chris Daniels is also departing; comes as part of a broader executive reshuffle that includes Will Cathcart becoming WhatsApp VP and Fidji Simo taking over the running of the main app. Cox and Daniels disagree with Zuckerberg’s plan for Facebook to focus on private messaging; both have raised concerns that such a move will negatively impact the growth and popularity of Facebook’s individual products, as well as a loss of autonomy. Facebook launches dedicated Gaming Tab where users can play Instant Games, find gameplay streams, and connect with gaming groups; the feature, accessible via the main navigation bar, will roll out slowly to groups of users; the company is also beta testing a dedicated Gaming app for Android. Facebook and Instagram suffered a global outage on March 13th; additionally, WhatsApp had issues in countries such as Argentina and Bangladesh, while Oculus also went down for some users. Facebook blames server configuration change. Telegram CEO Pavel Durov says the company added 3M users in 24h around Facebook’s outage. Amazon is pilot testing the Web Services Pro-Rata Program, through which the company connects VC firms with startups using AWS. AWS is facilitating the introductions, not making actual investments. Amazon will no longer tell US vendors they cannot sell their products on other sites at lower prices. Snapchat to announce gaming platform on April 4; the platform reportedly will feature several third-party titles at launch, playable within Snapchat; Snap reportedly acquired gaming companies PlayCanvas and Prettygreat in 2018; Tencent has expressed an interest in co-developing games with Snap. Microsoft reveals more details of Project xCloud, its upcoming Azure-powered game streaming service; the system promises to let users play Xbox games on smartphones, laptops, and more. Twitter rolls out new prototype app twttr to the first group of testers; the company will use the app to trial new features and get feedback before integrating them into the public app; will initially focus on conversation design changes. Twitter is testing a “subscribe to conversation” button; enables users to track conversations without engaging via tweets or hearts; Twitter notifies subscribed users when a user replies to the discussion. 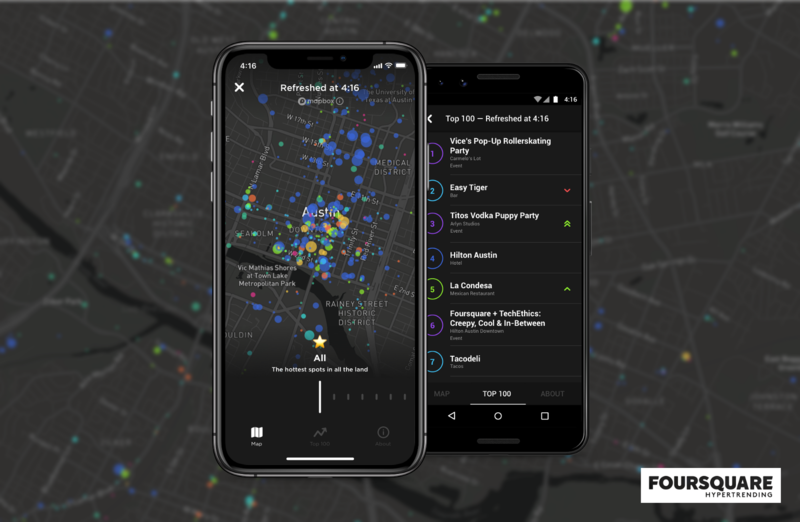 Foursquare introduces Hypertrending; the feature uses location data to offer a live map depicting popular destinations and real-time crowd sizes; the demo version is currently only available in Austin, TX during SXSW. We Company’s startup program launches WeWork Food Labs; based in New York City, the scheme will offer space to early-stage foodtech firms with access to commercial kitchens and introductions to packaged food brands; also launching a six-month accelerator for select startups. Walmart is set to launch a tablet under its ONN brand; full details unknown but the device will run Android; the report suggests it will be aimed at kids. Samsung is developing devices with under-screen selfie cameras; Samsung VP Yang Byung-duk says the tech is at least two years away, but suggests the company will be able to capture images through the display without affecting camera functionality. Mozilla launches Firefox Send: a free file-sharing service with end-to-end encryption; file size limited to 1GB for logged out users; a user with a free Firefox account can share files up to 2.5GB, and can establish file expiration times, passwords, more. Togvu launches a Kickstarter for Batfree, an Apple Watch strap with a built-in battery; utilizes wireless charging and promises an additional 27 hours power; promises compatibility with Series 2, 3, and 4. Tesla unveils Model Y; the compact SUV will launch in 2020 with a starting price of $47k; promises 300 miles on a single charge; the company plans to launch a $39k version with a 230-mile range in 2021. Mobike plans to exit several Asian markets and cut at least 10% of its workforce; the company is also re-evaluating its operations in other countries. The incredibly fast growth of TikTok. The most downloaded iOS app of 2018, TikTok last month surpassed one billion downloads on Google Play and the App Store. Quartz has put together some facts and figures about this teenage phenomenon. The Servant Economy. 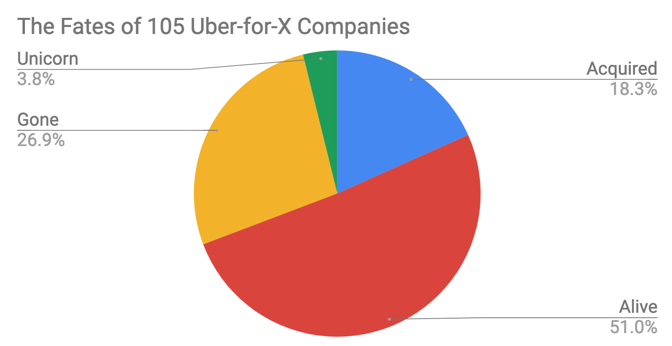 The Atlantic analyzes what happened with 105 “Uber for x” businesses within the last 10 years. Virtual assistants, “something that people feel is intelligent, but it’s not even close”. Boris Katz, the man who helped invent virtual assistants, discusses with MIT how current approaches are still rooted in 25–30 year-old ideas, and they will not solve the problem of real understanding — of real intelligence. Tim Berners-Lee marks the 30th anniversary of the web by suggesting it can change for the better; Berners-Lee discussed the state of the web during an event at CERN where he cited the rolling back of net neutrality rules and the threat of fragmentation as key concerns; he suggested society is moving to a “more mature, responsible and inclusive future”.